CEDAR RAPIDS, Iowa (March 15, 2017)-Kirkwood Community College Head Women’s Basketball Coach Kim Muhl is the 2017 United States Marine Corps/WBCA National Junior/Community College Coach of the Year, the Women’s Basketball Coaches Association announced today. Muhl will be presented with the Pat Summitt Trophy, named for the late legendary University of Tennessee coach and awarded annually to the United States Marine Corps/WBCA National Coach of the Year in each of the WBCA’s six membership divisions, during the 2017 WBCA Convention, which will be held in conjunction with the NCAA® Women’s Final Four® in Dallas. 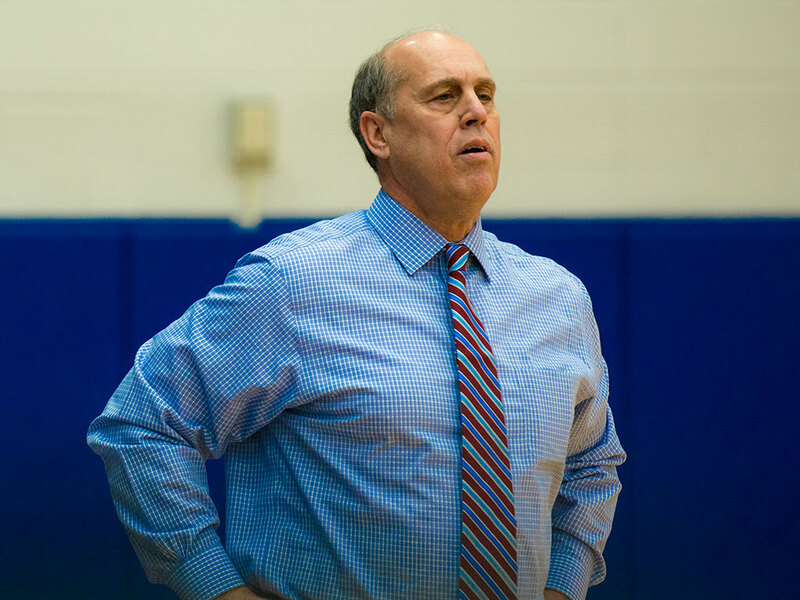 In 28 years as head coach of the Eagles, Muhl has recorded 22 consecutive 20-win seasons. He has also tallied 24 regional finals appearances, 17 national tournament berths and six national titles. This season Muhl led the squad to an Iowa Community College Athletic Conference regular-season title after finishing undefeated, 30-0. His squad’s record now stands at 33-0 after being crowned Regional Champions following a dominating performance in the National Junior College Athletic Association (NJCAA) Region XI tournament. Muhl is a 14-time NJCAA Region XI Coach of the Year and also received the WBCA Russell Athletic Junior/Community College Coach of the Year award in 2007. In 2011, he was inducted into the NJCAA Women’s Basketball Hall of Fame. Visit www.wbca.org/recognize to see a list of past recipients.